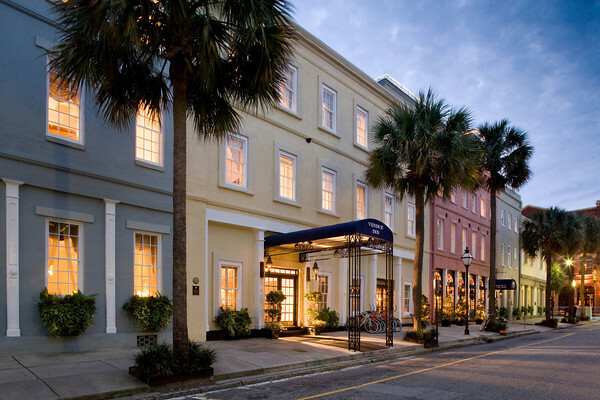 Located steps from Charleston’s breathtaking Waterfront Park, the Vendue Inn embodies the Southern tradition of hospitality, comfort and charm in a welcoming and delightful environment. A boutique hotel that is as unique as the city around it and its rich history, is matched only by its comfort, thoughtful amenities and ideal location in Charleston’s French Quarter. 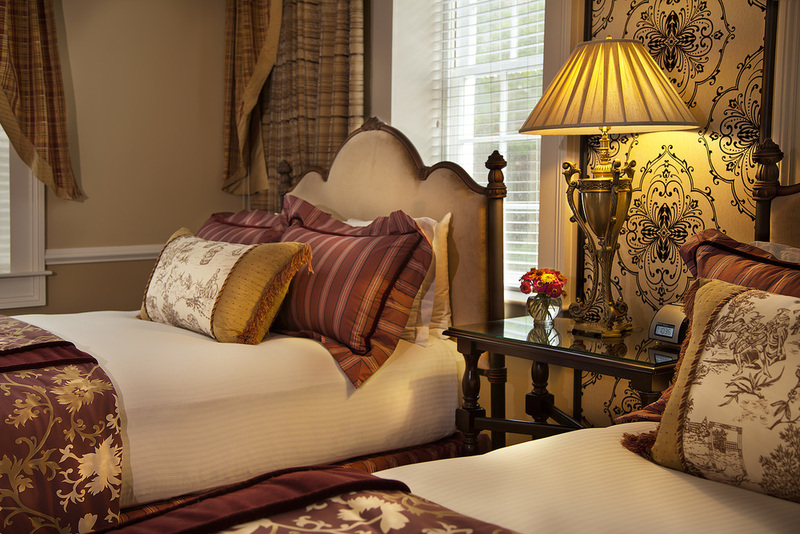 Each of the Vendue Inn’s historic rooms has unique personality, reflecting the charm of the South with modern touches like high-speed wireless Internet access and European bath amenities. 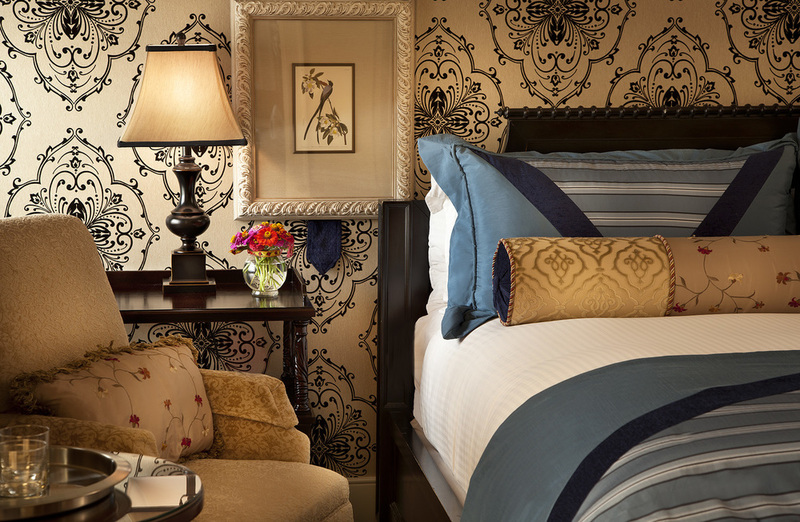 Sleep soundly in comfortable king or queen beds with luxurious Egyptian cotton linens and inviting décor. Housed in eight historic buildings, each building varies in their architectural design, based on the year they were built. A display of Georgian and Palladian architecture can be seen. The Vendue Inn has two dining facilities easily accessible to guests. A favorite destination for visitors and locals alike, the Library Restaurant should not be missed. Enjoy flavors of the Lowcountry with freshly prepared meat, seafood and produce from local growers and markets. Beyond the food, visitors will enjoy a romantic, intimate atmosphere influenced by Old South and European architecture. Dinner is served: Tuesday – Sunday, starting at 5:30pm. The Rooftop, at the top of the Vendue Inn is an award-winning bar that serves refreshing cocktails as well as some of the finest views of Charleston’s harbor. 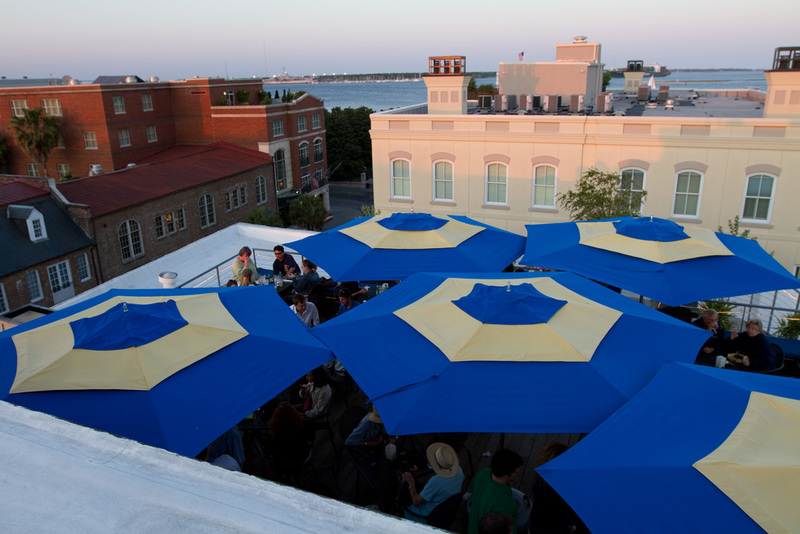 Named the "Best Rooftop Bar in Charleston" for the last eight years by Charleston City Paper, the Rooftop offers the perfect place to relax, socialize and enjoy the beautiful view encompassing Waterfront Park, Cooper River Bridges and historic Fort Sumter. Open daily from 11:30am to Midnight. Stay where the city is at your doorstep. 19 Vendue Range, Charleston, SC 29401. Visit www.vendueinn.com or call (843) 577-2913 for more information.